No, you didn’t miss Milan going back in time to qualify for the Champions League and being drawn with Fiorentina. Our destination tomorrow is actually Empoli, the newly promoted side that also hails from Tuscany. And it’s certainly not going to be a Champions League match, it’s just one of those silly midweek games that Serie A has to throw in to make up for international breaks. So change your plans if you need to, because Milan need our support as they spend this Tuesday in Tuscany. 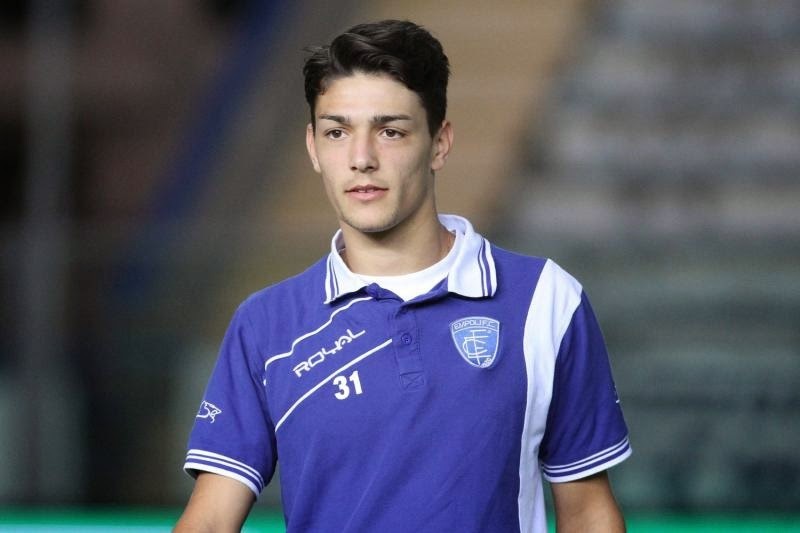 You may know Empoli simply as “that club that Saponara came from,” but there is more to them than just our poor injured player who just underwent surgery on his knee. For example, did you know that our own Abate spent the 2007-08 season on loan to Empoli before he broke into Milan’s first team? (That was Empoli’s most recent season in Serie A, so I’m not sure if that was a good thing for them. I'm just saying.) They played in Serie B since then, and narrowly missed promotion a year ago, losing the promotion playoffs to Livorno. Last season, Coach Maurizio Sarri made no mistake, he ensured they finished second in Serie B, earning them direct promotion to Serie A. So here they are, with a few familiar faces. Such as Simone Verdi, Milan youth product, who was sold to Torino and is now on loan to Empoli. Or Massimo “Big Mac” Maccarone, who at age 35 is trying to prove that age is just a number (and also enjoying playing in Serie A again… I bet he thought he’d finish his career in Serie B.) The Azzurri, nicknamed for their blue kits, have not gotten off to an ideal start thus far. They lost to Udinese in their season opener, then gave Roma some trouble but rightfully lost 1-0 to the capitol club. However on Saturday, they came back from a two goal deficit to draw with fellow promotees, Cesena. So only one point in three games. In the game with Cesena, Sarri lined up Sepe; Barba, Duarte, Hisaj, Rugani; Valdifiori, Croce, Verdi, Vecino; Tavano and Pucciarelli. As far as I can tell, he’s got a full squad, but having just played on Saturday, he may make some changes to that starting lineup. Inzaghi, on the other hand, has plenty of injuries to contend with. 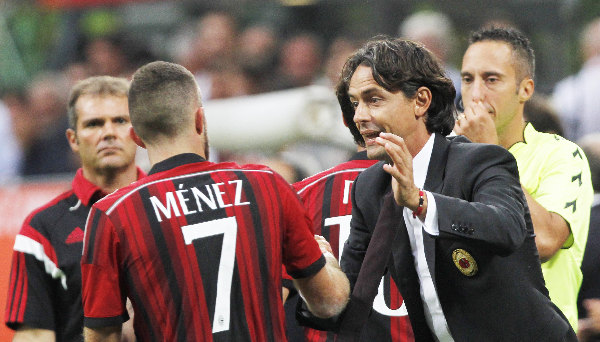 Montolivo is still out long term, even if he may return sooner than expected. The aforementioned Saponara is out for another three or more weeks, too, as is Diego Lopez. Alex has a groin injury, it is unclear when he’ll return. Essien turned up with a foot injury ahead of Saturday’s match, so he is doubtful. And the newest on the list is Menez, who has a minor thigh problem, and will likely be rested for tomorrow’s match. Muntari injured our sensibilities with a very poor game on Saturday, and Tassotti indicated that 'there might be some changes in the midfield.' Let's hope so. Okay, Inzaghi, please don't injure the players with the celebrations, we need them. Despite playing away to Empoli, I know the squad would love to avenge Saturday’s loss with a clear cut victory. But there is a tough little Empoli team in the way who are also desperately in need of points, have a full squad, in addition to playing at home. And even if their stadium holds less than 20,000, that’s still a lot of advantages. But this is a game where grinta can make the difference between three points and coming home empty handed. So let’s hope our boys are up to the challenge, getting three points on a Tuesday in Tuscany.